This thing looks like it would make a really cool unit in a Real Time Strategy game. 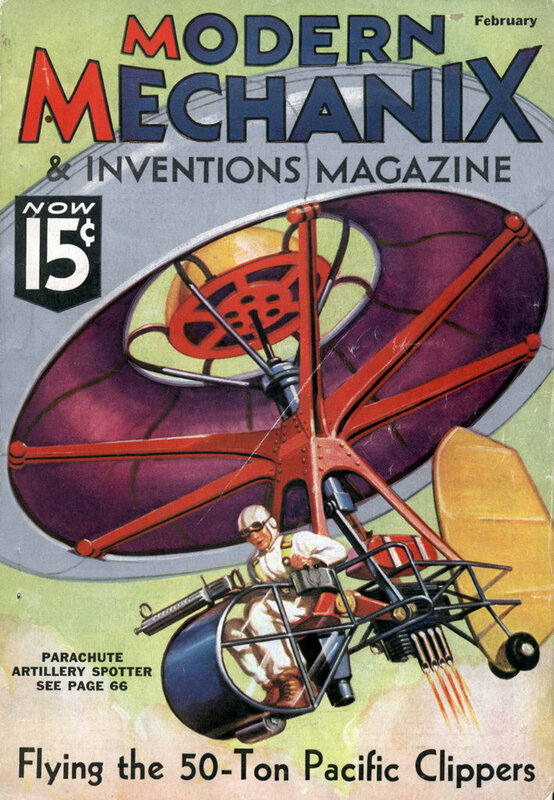 Pulsating through the skies in much the same manner as employed by the jellyfish in propelling itself through water, a weird parachute artillery spotter is expected by its inventor, John A. Domenjoz of New York City, to supersede the ordinary kite-balloon in observation work during war. Greater maneuverability with resultant greater safety for the pilot, economy, and the elimination of ground crews are among the advantages claimed for this type of craft. 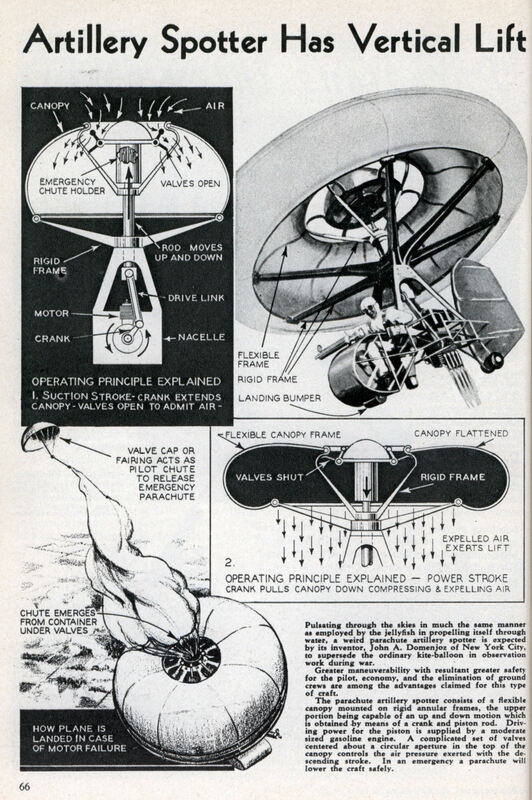 The parachute artillery spotter consists of a flexible canopy mounted on rigid annular frames, the upper portion being capable of an up and down motion which is obtained by means of a crank and piston rod. Driving power for the piston is supplied by a moderate sized gasoline engine. A complicated set of valves centered about a circular aperture in the top of the canopy controls the air pressure exerted with the descending stroke. In an emergency a parachute will lower the craft safely.